According to data from the National Center for Education Statistics, there are approximately 3.1 million teachers in the United States. Out of all those millions of teachers, at least according to the National Council for the Social Studies, the No. 1 middle school history teacher in the country works right here in Chesterfield County Public Schools! 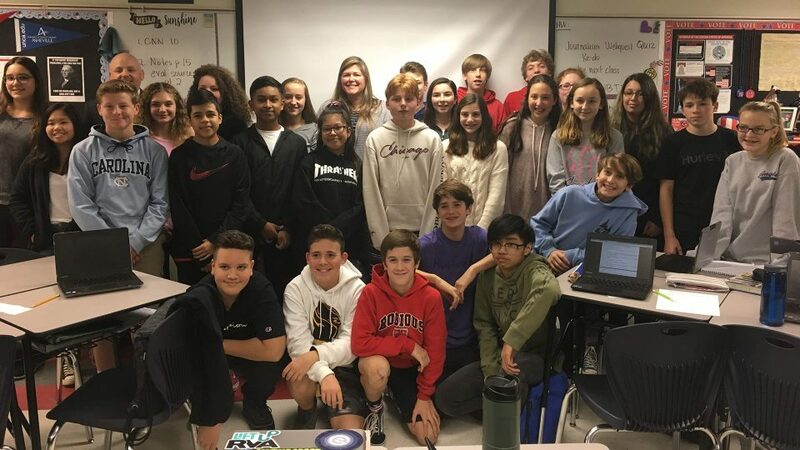 Tracey Zaval, a civics and economics teacher at Robious Middle, will be honored as the 2018 Outstanding Middle School Level Social Studies Teacher of the Year this week during the National Council’s annual conference in Chicago. Zaval was recognized for her ability to promote problem-solving and encourage civic action in the classroom. As the national winner, Zaval has been asked to present at the organization’s national conference. She also earned a $2,500 award. Zaval won the 2017 Virginia Council for the Social Studies (VCSS) Teacher of the Year while teaching at Midlothian Middle, making her eligible for national recognition. She is also a former Region I and Chesterfield County Public Schools Teacher of the Year.